Productivity: A diverse workforce can benefit a small business in many ways, including the productivity of the workforce. Each employee will bring his or her own unique strengths and weaknesses, and this helps create a diverse mix of skills, strengths, and weaknesses. And when employees teach their skills to other employees, this in turn, increases each employee’s skill-set. Positive business reputation: For a business to succeed, its reputation must be positive and strong. Since diversity is a key to success in a modern-day environment, having a diverse small business can aid future employees to choose your business, and for future customers or clients to favor your company over others. The likelihood of positive “word of mouth” between customers is more likely if your company has a positive reputation and brand image. Higher Morale: Giving employees the opportunity to work with people that bring different skills and views to the table helps them recognize that everyone is important for different reasons. When diversity is managed well and employees are subject to cross-cultural diversity and inclusion training, the result is that all people feel validated and considered important no matter their differences. Feeling valued improves the morale of each worker and promotes positivity in the workplace. Global Impact: In an increasingly globalized world economy, workforces that are culturally diverse can help companies expand their business in worldwide markets. Being able to communicate effectively in different parts of the world is a key benefit, as well as knowing how to create relationships and understand the cultural nuances and differences in doing business in foreign countries. With a workforce that understands these concepts, you create the opportunity to effectively develop your business in a global market. Community Relations: With a trend towards diversification, many communities are becoming increasingly culturally diverse. It is important that companies recognize this and mimic the communities that they serve. For example, companies need to be able to communicate effectively with customers and understand their needs, no matter the customer’s language or culture. Having people on staff who have the background and skills to do so are vital to an organization. 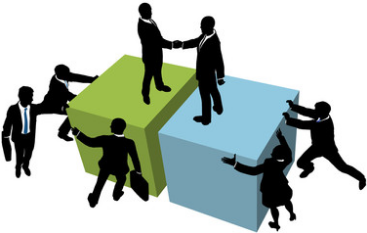 Communities and customers also prefer to engage with companies that employ people that are similar to them. For this reason, hiring and managing employees with diverse cultures is an advantage in a competitive market space. Learn to let go. The biggest problem most leaders face is the inability to let go of their own work. Sometimes they feel so dedicated to completing their own work that they refuse to let other people help. Other times, they fear that nobody else has the skills or abilities necessary to execute the work effectively.Whatever the case may be, your first priority needs to be to learn to let go. Start small, delegating only the smallest tasks, and gradually work your way up. Get to know your team better and improve the trust among you and your co-workers. Take baby steps and know that eventually you will have to let go of your work if you want your team to be successful. Always include instructions. Even if the task process seems obvious to you, make sure to include instructions with each task you delegate. If you have specific preferences for how the assignment will be carried out, include that information. If you have a strict deadline or milestones you need to hit, be clear about them.Including details and straightforward instructions from the get-go will avoid most communication gaps and will allow your tasks to be executed effectively. It’s a proactive strategy that both you and your employees will appreciate. Don’t be afraid to teach new skills. Lacking someone on your team with the ability to execute a certain task on your to-do list doesn’t mean the work can’t be delegated. Most skills can be learned–some more easily than others–so don’t be afraid to teach as a part of the delegation process.Though the assignment of your first few tasks will take more time than it will save you (since you’ll need to train your chosen employee), consider it an investment. By transferring those skills, you’ll be opening the door to assigning all similar tasks to that individual in the future, ultimately saving more time than you spent teaching. Trust, but verify. Once a task is delegated, trust your teammate to execute it on his or her own terms. This will allow the person to tackle the work the way they feel is best. However, don’t be afraid to occasionally step in and verify that the task is moving along as planned. For example, if you made an assignment a week ago that’s due tomorrow, trust that your employee is on top of things, but send a quick verification email to make sure the person hasn’t hit any snags.Doing so encourages more trust and respect within your team and helps prevent breaks in communication or understanding. Use feedback loops to improve delegation moving forward. Feedback is the most important part of the delegation process, and it works both ways. If your workers have done well with a task you assigned, let them know by publicly thanking them and offering genuine praise. If they’ve fallen short, don’t be afraid to give them some constructive criticism. In addition, be sure to invite your coworkers to share their thoughts on how you’re delegating–it’s a critical chance for you to determine whether you’re providing enough information, or whether you’re assigning the right tasks to the right people. Delegating isn’t always easy, and the process isn’t always clear cut, but the sooner you start, the sooner you’ll develop the expertise to do it effectively. 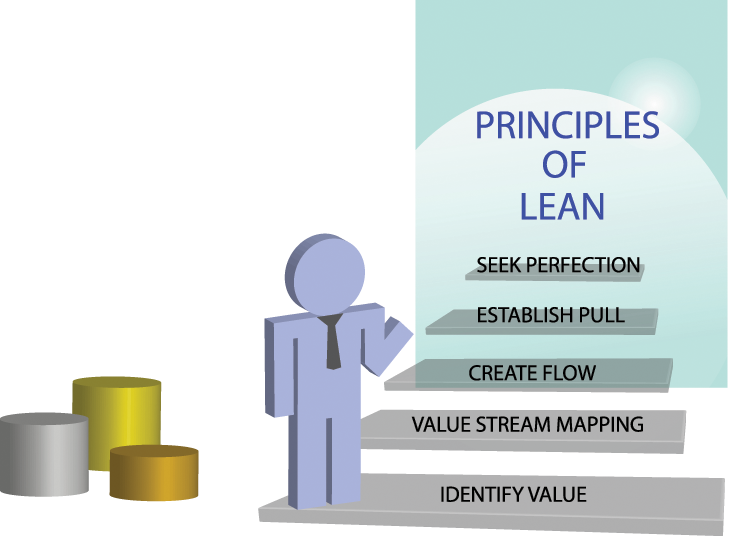 The Lean approach begins with a detailed understanding of what value the customer assigns to product and services. Establishing value allows organizations to create a top-down target price. Your organization focuses on eliminating waste so that they can deliver the value the customer expects at the highest level of profitability. The value stream is the product’s entire life-cycle from the raw materials through to the customer’s use of, and eventual disposal of, the product. In order to eliminate waste, the ultimate goal of Lean, there must be an accurate and complete understanding of the value stream. Processes are examined to determine what value is added. Steps, materials, features, and movement that do not add value are eliminated. As organizations begin to accurately specify value, identify the entire value stream, make the value-creating steps for specific products flow continuously and let customers pull value from the enterprise, something very odd begins to happen. It dawns on those involved that there is no end in the process of reducing downtime, effort, time, space, cost and mistakes while offering a product which is ever more nearly what the customer actually wants. Suddenly perfection, the fifth and final principle of lean thinking, doesn’t seem like a crazy idea. These ideas form the foundation of the Lean approach that has transformed countless corporations, giving them a leg up on the competition and a clear path to both profitability and delighted customers. Let Thrive make sure that your company is heading in the right direction. If you have never undertaken the process of creating a workflow from start to finish, it may feel like a complicated process. While building a workflow can take time (especially when it comes to planning, processes, and testing) it isn’t as daunting as it seems if you know what you’re doing. The key is in knowing how to start and Thrive can help you identify an appropriate workflow for an effective process. Projects are often completed using project management strategies and software. 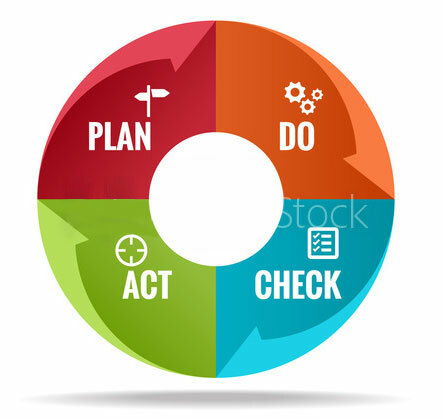 Project management involves the initiation, planning, design, execution, monitoring, control, and closing of a team’s specific goal, usually involving a certain set of criteria that needs to be met.The biggest difference between project management and process management is that project management has a temporary, constrained scope, quality, budget, and timeframe. 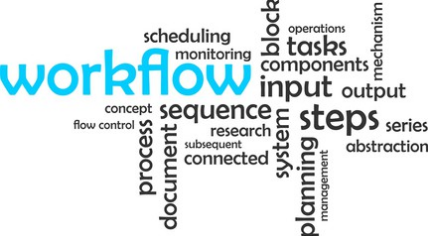 Creating a workflow for a process, on the other hand, involves defining processes that need to be managed throughout the organization, which may include repeatable projects and grouped tasks. It also requires visualizing, measuring, controlling, reporting, and, improving that process over time, with the goal to increase productivity and/or decrease costs. While both are somewhat different, both project and process workflows can be organized in similar ways, using visual flowcharts and diagrams to document each stage, step and task. Step 1: Name your workflow. The name should help you identify your ultimate outcome, but don’t worry too much about this, as you can change it later. Step 2: Identify start and end points. What events or tasks will trigger the process to start? How will you know when your outcome has been reached? Step 3: Identify what is needed to perform the process. What tasks, documents, and actual materials (automation software, programs, etc.) are needed to complete the process? Step 4: List any tasks and activities. What needs to be done to accomplish your outcome? Step 5: Identify the order tasks should be accomplished. Should certain tasks be finished before others can be started? Or can certain tasks be accomplished at the same time? Step 6: Identify roles. Who will be involved in what tasks or activities? Some tasks may involve simple automation tools and no human approval, while others will need a review and sign off. Identify who is responsible for which task and process in your workflow. Step 7: Review and finalize. After you’ve set everything up, you will want to test your workflow and review it to ensure that all processes are efficient and achievable and that everything accomplishes what it needs to accomplish. Don’t forget to test your systems to make sure there are no hiccups throughout the process. When you invite people at every level of the organization to get involved in daily improvement and take control over the processes that they operate, something remarkable happens. People begin to feel a certain pride of ownership. They start to care more about their workspaces and the quality of their deliverables. They ask questions and learn to avoid making assumptions. Suddenly you see people engaging in what’s known as “discretionary effort.” That’s what happens when people go beyond what is expected of them and do something more voluntarily. That alone has the power to transform organizations. The very fundamental premise of continuous process improvement is, “It can be better.” That’s a pretty positive outlook from our point of view. Sure, problems will pop up and it often takes a lot of effort to replace the old way of doing things with something new, but if you believe in the power of positive change there isn’t much you can’t overcome. Continuous improvement isn’t a one-time thing; it is something that can and should happen every single day. No process can ever be considered completely improved. When one cycle of change is finished, that means the next can begin. When people start practicing continuous process improvement, they get much better at choosing the right tool for the job. They become willing to experiment with different approaches and learn what works best under which circumstances. In short, practicing continuous process improvement makes people smarter. What’s not to love about that?